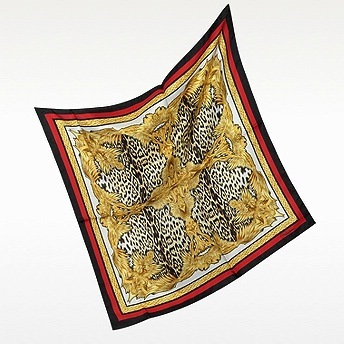 Ornamental designs surround a vivid central Leopard print foulard in 100% silk. Signature envelope included. Made in Italy.